BRING OFFER! This is a one of a Kind, Income producing-Working Farm. You have probably not seen an integrated Farm House and Barn quite like this. Custom built in 2011, this home is well appointed with T&G Pine walls, custom-saw milled hickory floors, Stainless Steel Appliances, Corian Tops and Log Home Finishes. The surrounding view is beautiful from the spacious, 2 level front deck. The attached 60x50 Garage/Barn is ready for work and full of split wood to feed the stove. 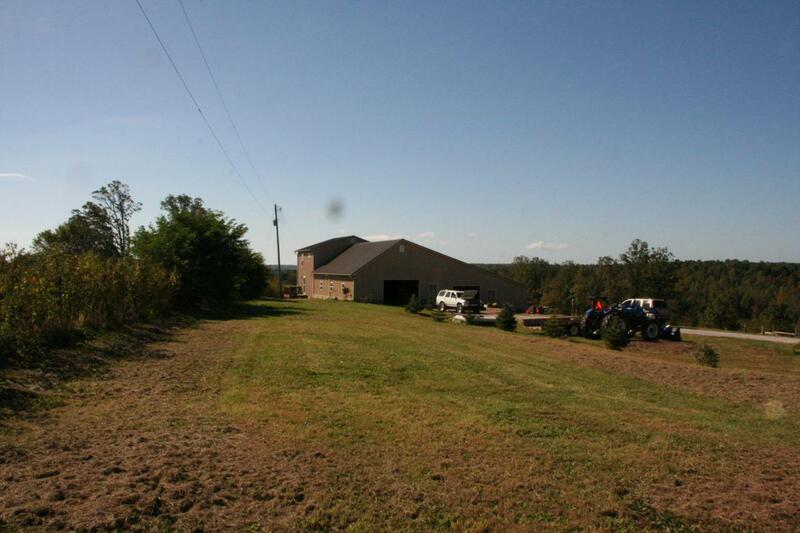 Also on property 32x20 Haybarn, 20x16 Livestock Barn, Close to a mile of fencing including 5 separate, gated pastures. Its time to retire and pass this to the next industrious owner. The farm is a fraction of what it could be with plenty of room for growth.Also negotiable and not included- 2014 New Holland 65HP 4wd tractor, bush hog, tiller, hay spear, wire roller, and auger, approximately 30 head of Kiko-Boer Goats and 14 new kids (baby goats), and lots of feed and supplies.